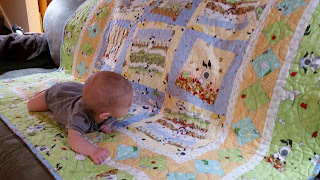 My mom's good friend Marcia made Quinn a baby quilt. It arrived today and it's adorable. He wont stop staring at the pattern!